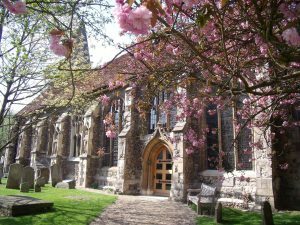 Maldon Town Council is responsible for the upkeep and maintenance of the War Memorial and three closed church in the town, St Mary’s, St Peter’s and All Saints. 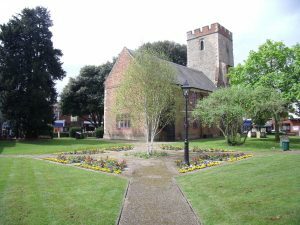 The War Memorial stands adjacent to All Saints church and is the focal point of the annual Towns’ Remembrance service. Maldon Town Council, with the help of the Friends Group, maintain this beautiful public open space, which is located on the edge of town. The garden was once the pride and joy of two local sisters, called Edna and Joan Leech who lived opposite, at 14 Lodge Road. 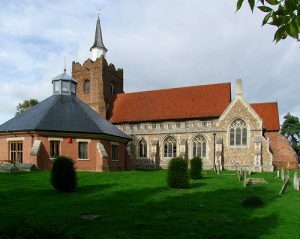 Sadly both sisters were killed in an air crash in 1971, and the garden was left to the people of Maldon in their will. The Friends Group came together in 2006. 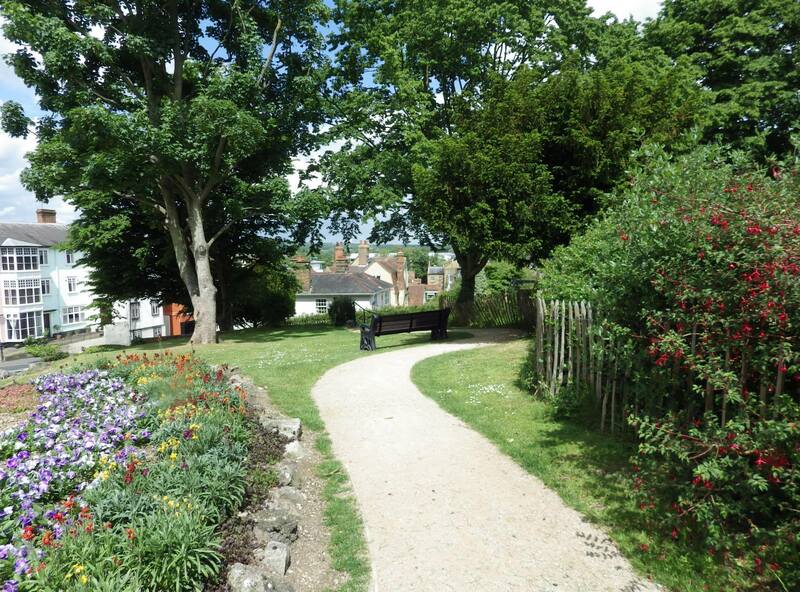 The group meet once a month and their work helps supplement that of the Town Councils Contractor. Among our general tasks are cutting out brambles, lighter pruning, weeding, and planting in order to enhance the beauty of the garden. *If you are interested in volunteering during one of the work days, please contact Councillor Flo Shaughnessy. 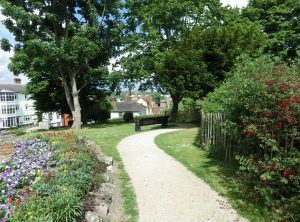 In recent years this garden has been transformed from a once neglected demolition site into peaceful oasis, nestled on the busy Market Hill. 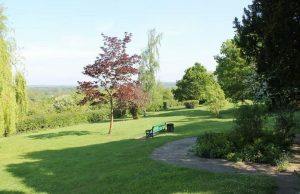 The garden is a beautiful floral gateway into the heart of town, and it provides a much needed breathing space for those struggling up the hill. 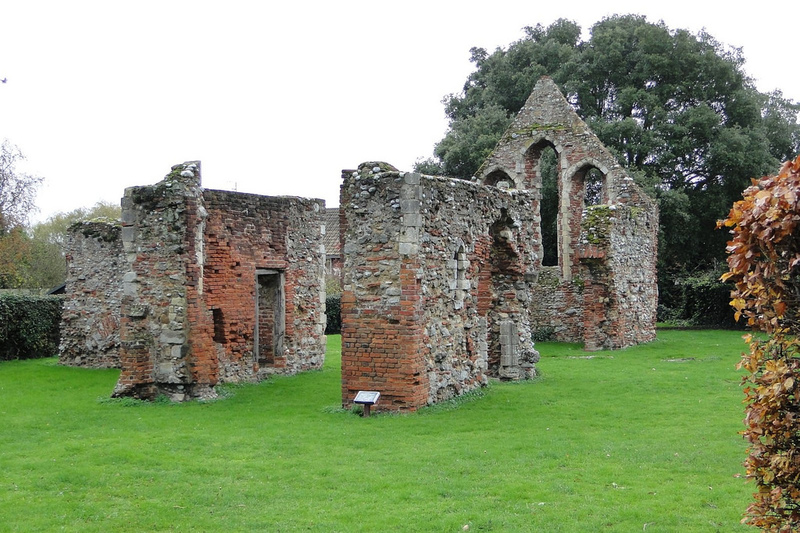 St Giles Ruins are situated in an unexpected oasis of tranquillity on Spital Road, just 20 minutes walk from the High Street. The site is a Scheduled Ancient Monument and is one of Maldon’s best kept archaeological secrets. The chapel was founded to provide services to lepers and became a general hospital for the poor and infirm. It was connected to Beeleigh Priory and, following the dissolution of the monasteries, served as a farm building for many centuries until work commenced to restore the ruins in the 1920s.